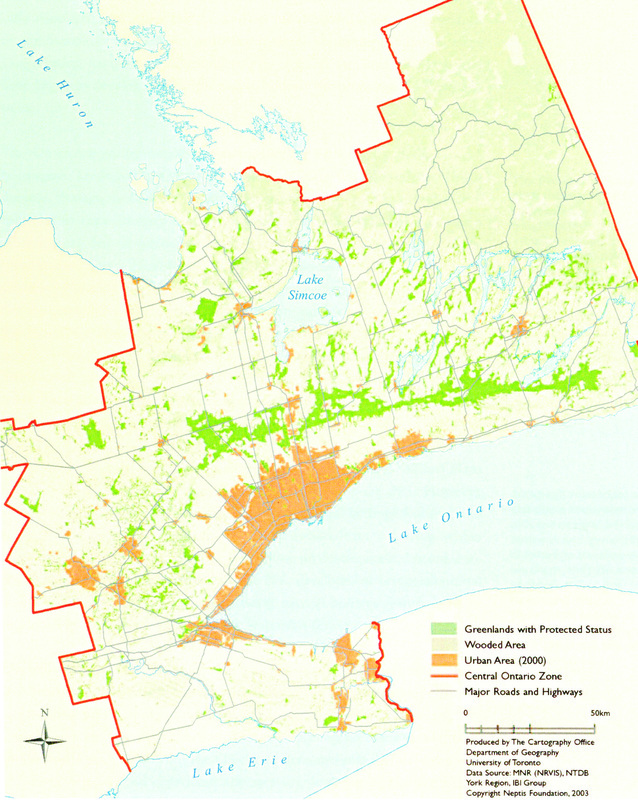 Fraser's paper looks at all non-urban, non-agricultural land within the Central Ontario Zone. He describes the current state of greenlands protection in the Zone and explains the process by which, under current laws, development is often allowed to occur on designated greenlands and the reasons why even designated greenlands may become degraded over time. Fraser identifies the features that are most threatened - by development, recreational uses, agriculture, aggregate extraction, roads and utilities corridors - and recommends a program of identification, policy enforcement, acquisition, and management of greenlands that could become part of a smart growth strategy. Where in the Central Zone has the greatest degree of greenlands protection been achieved? What important ecological trends influence greenlands protection? What are the major barriers to implementing change?